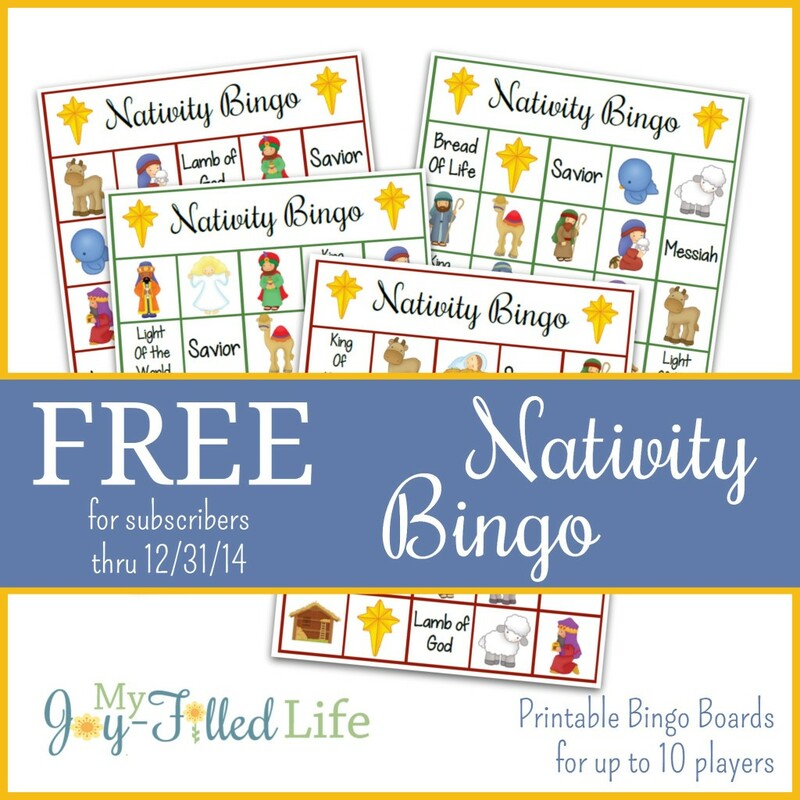 My Joy Filled Life has a Nativity Bingo Game printable that you can grab for free if you subscribe to her site. This printable download has enough boards so that 10 people can play, plus it has calling cards for you to cut out and use. Simply print out, find some small manipulatives for bingo makers, and play! Thanks for sharing! Always grateful when you do!